In the event where you have to create a document which shows the terms that are made and accepted by different parties, then that’s what you would call an agreement document. 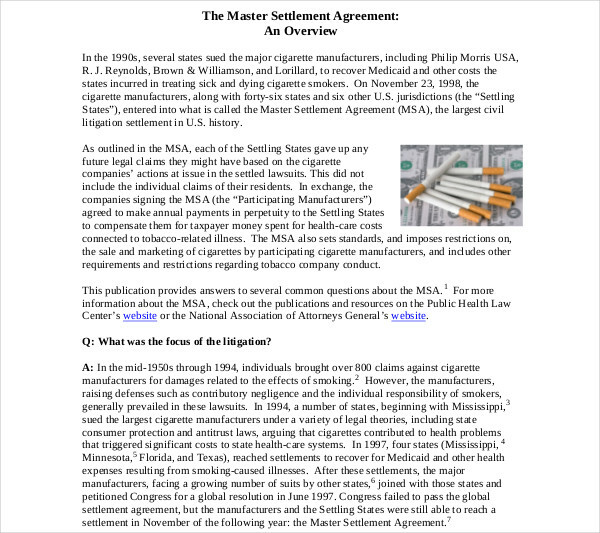 The type of agreement would depend entirely on the situation, so if you want to make one that talks about what either can can cannot do in regards to a specific matter, then you’ll want to look up commercial agreement examples. If you want to make one that specifically states how a particular company will be managed, then you’ll need to look up and create management agreements. 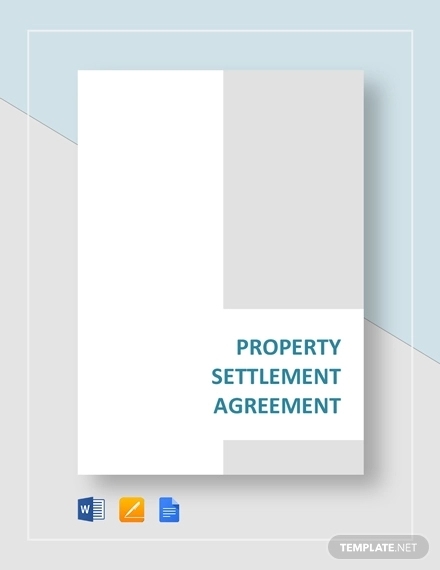 So what if you want to make an agreement regarding the settlement of a dispute without the need of taking it to court? 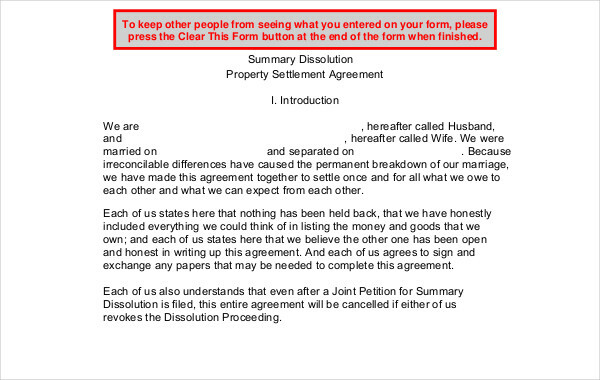 This would meant that you’ll need to create a settlement agreement and this article will teach you how to make that. 1. The statement may also state that the parties named have the capacity to bind a company or entity, in the event that it’s applied. When you’re making a commission agreement, there’s always going to be that section which discusses how the employer is to pay the temporary employee for the work provided. 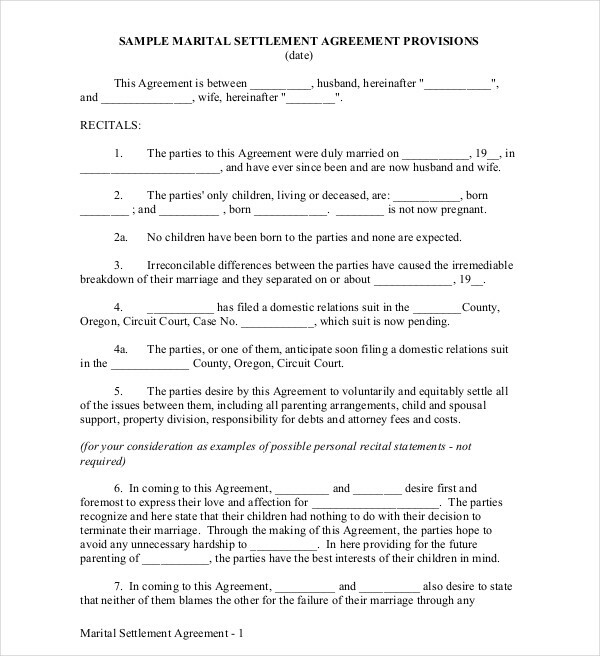 In a sense, a settlement agreement has that section but rather it talks about the details regarding the dispute. It basically covers everything from the “who”, “what”, “when”, “where”, and “why” of the situation. The reason as to why this has to be placed in the agreement is so that both parties have come to understand exactly what has transpired. 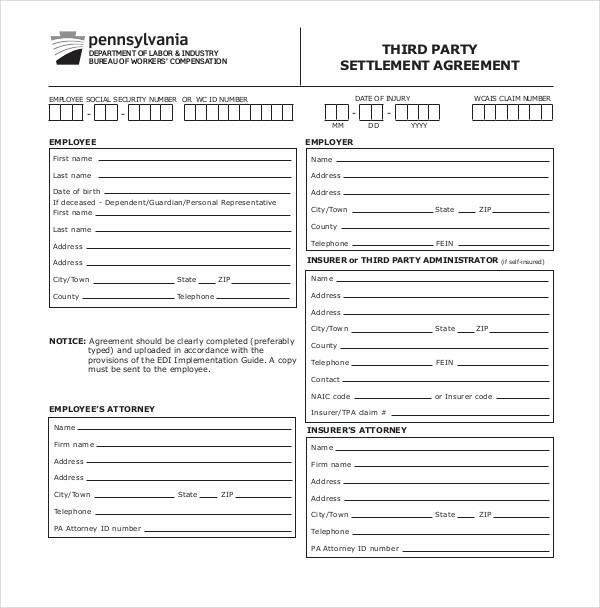 If there are any inconsistencies, then these can easily be changed before either party signs the agreement document. Also, there needs to be a provision (basically compensation from the wrongdoer to the victim) or the court will have a tough time upholding and enforcing your settlement agreement. So as you’re writing this, you will have to make it as detailed as possible. Include everything that’s relevant into the document and make sure that it’s nothing but the truth. Because if one party sees that there are certain inconsistencies, then don’t hope that it’s going to be accepted anytime soon.You may also see commercial agreement examples. 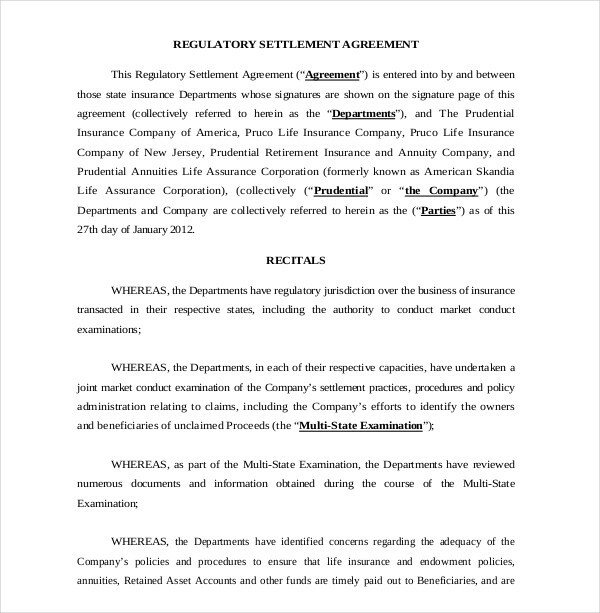 When you make either a Settlement Agreement, then there’s always going to be someone that has to be compensated for whatever damages, injuries, or whatever liabilities set against him or her.This section will include the required consideration, which is necessary to spell out in order to have a valid settlement agreement or contract. 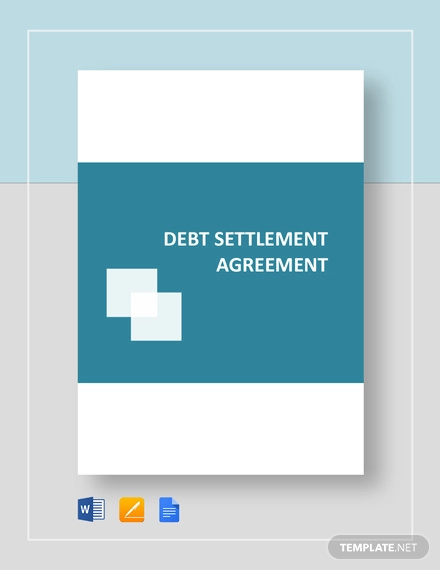 The type of payments that can be contracted for are wide-ranging and will depend on the kind of dispute that lead to the settlement agreement in the first place. Compensation could be in the form of money, repairs, replacements, or even promises. Just remember that the compensation cannot come through the means of anything that’s illegal such as criminal or fraudulent acts. Also, you’ll want to make sure that you agree with the compensation. 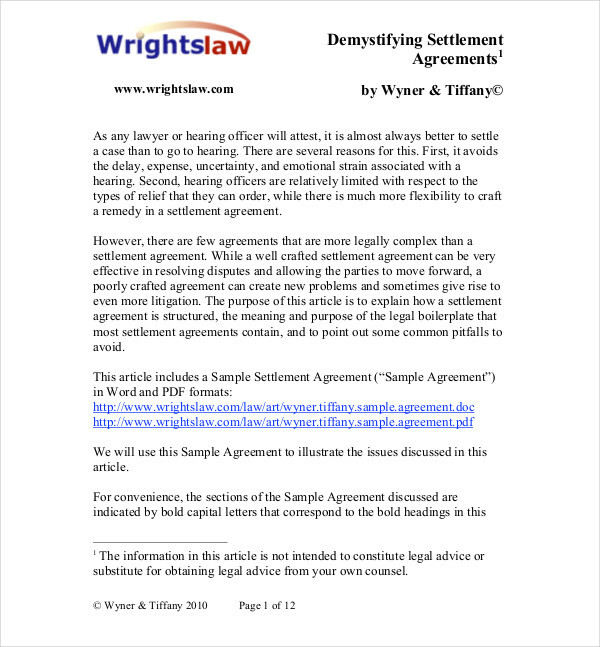 Sometimes, a conditional settlement agreement may be desirable. There are times where it’s better that an action is done in order to solve a dispute, but these would usually take up much more time. There’s always that chance that it may not happen on the date that it’s promised, which is why you have to make it clear as to what the consequences may be should these actions not push through on the date that they’re promised. 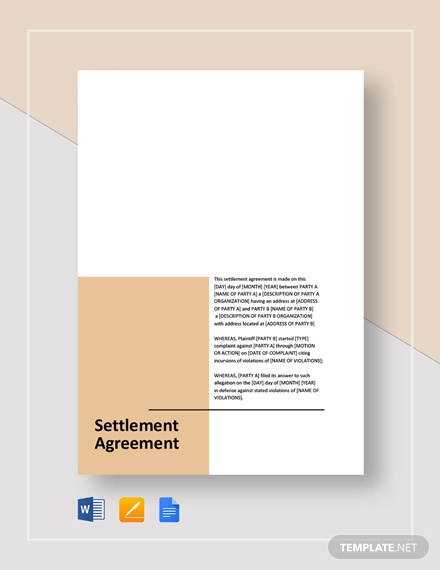 Which is why you should negotiate an unconditional settlement agreement, which takes effect after a certain number of days.You may also see business agreement examples. And lastly, this is the part where you will be providing the complete names as well as the signatures of those who are involved in the agreement. This basically shows that both parties have already come to terms on what has to be done in order to reach a settlement and prevent the dispute from being handled in the courtroom. 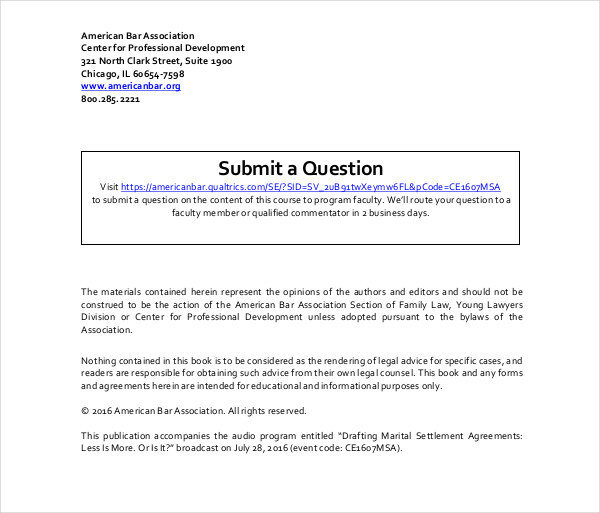 In the event that you would like to learn more about this particular topic or if you want to learn how to create other agreements (non-disclosure agreement , work for hire agreement , etc. ), then all you have to do is go through our site. We have all the articles that should contain the information that will prove useful in the situation that you need them. Just make sure that you go through articles thoroughly to learn how to properly utilize all of them.